Each piece in the collection features a blue sapphire, a unique design statement and symbol of everlasting love. Every diamond is hand set and meets Vera’s minimum requirement of near colorless quality, with elegant engraving and intricate milgrain. 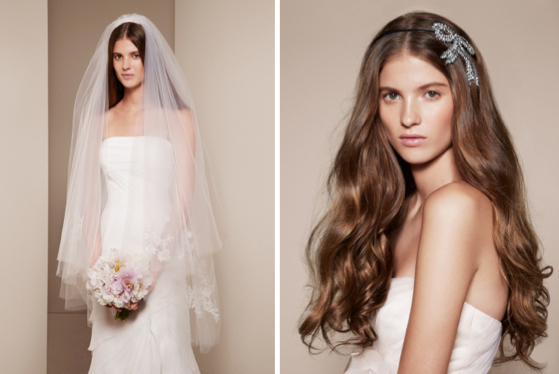 The Spring 2013 WHITE by Vera Wang collection debuts two short bridal styles available now, exclusively online at www.davidsbridal.com. Perfect for a wedding reception or casual summer wedding, both styles retail under $750. Seems only natural for Vera Wang. She now has a home on the west coast, so the next obvious project for her was to open a boutique there. 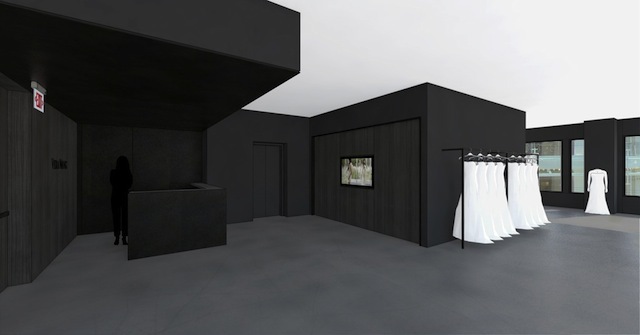 This is her first bridal boutique in San Francisco. “It is one of the most beautiful cities in the United States filled with incredible culture, refinement and a unique clientele,” says Vera Wang. Located at 180 Geary Street, San Francisco, California, the store occupies 4,640 square feet and overlooks Union Square. Along with outposts in New York City, Los Angeles, Chicago, Moscow, Tokyo, Hong Kong and Sydney, Vera Wang’s latest venture houses her bridal collection and will also carry evening-wear. 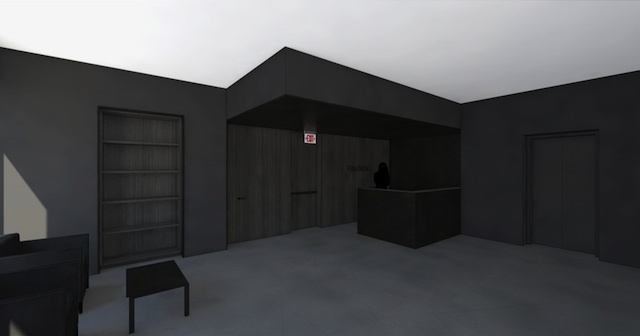 This boutique has a contemporary look is created with graphite concrete floors, charcoal grey walls, etched glass doors and blackened steel design elements. 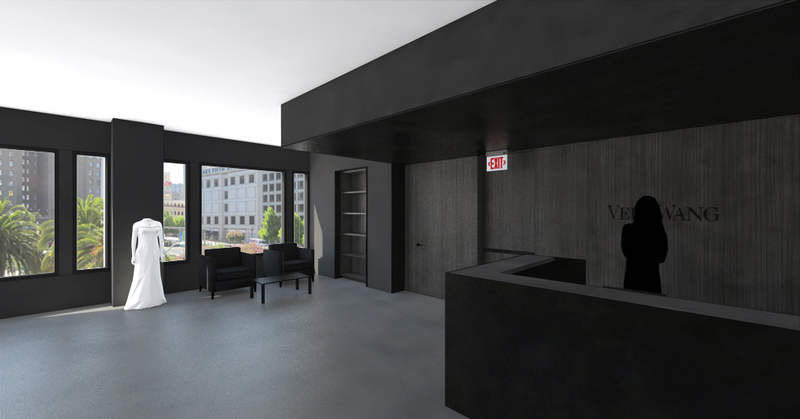 The salon experience is about understated elegance, sophistication and modernity. It is designed to engage the bride and her family and friends with options through knowledge and service. With boutiques located around the world, it’s increasingly easy for brides to experience “Vera”. For a complete list of retailers, please visit www.verawang.com. Private-equity shops Leonard Green & Partners and TPG Capital have put the retailer on the block and this week have taken first-round bids on the chain of 300-plus stores based in Conshohocken, Pa.
Several interested suitors, including private-equity firm KKR, have been told they have made it to the next round of the auction, according to a source close to the process. Both Leonard Green and TPG had been hoping for a premium price for the only national wedding dress chain, but, according to sources, those dreams may be left at the altar. Suitors are offering a price equal to about eight times EBITDA (earnings before interest, taxation, depreciation and amortization), or just under $1 billion, sources said. Unless the action picks up in subsequent bidding rounds, David’s Bridal, founded in 1950 in Ft. Lauderdale, Fla., will be a discount purchase. By comparison, THL Partners this week agreed to pay a richer 10 times multiple for the Party City party supply chain. Like David’s Bridal, Party City is the only national retailer in its space. Leonard Green and TPG yesterday also announced a deal to buy national for-profit thrift store Savers. The price: $1.6 billion. That, too, is about a 10 times EBITDA multiple — 20 percent higher than the multiples being offered for David’s Bridal, sources said. Both Party City and Savers are more down-market chains, which seems to indicate that David’s Bridal is carrying a middle-market discount. “If you are down market, that is the place to be,” a banker who works with private-equity firms said. Leonard Green has been moving David’s Bridal upmarket over the last couple of years in hopes of improving profits at the chain, whose stores are dotted across 45 states. In April 2010, David’s Bridal announced an exclusive partnership with Vera Wang for gowns priced under $1,500. Wang has been the go-to wedding dress designer for the power set for years and in recent years Avril Lavigne, Kim Kardashian and Ivanka Trump have all opted for a Wang gown for their big day. While the Wang gowns at David’s didn’t carry the sky-high price tags of those used by the boldface name set, they did raise the average price of a gown at the chain and accomplish the goals of Leonard Green. The average price paid for wedding dresses across the industry has risen from $1,056 in 2006 to $1,289 in 2011, according to Brides magazine. 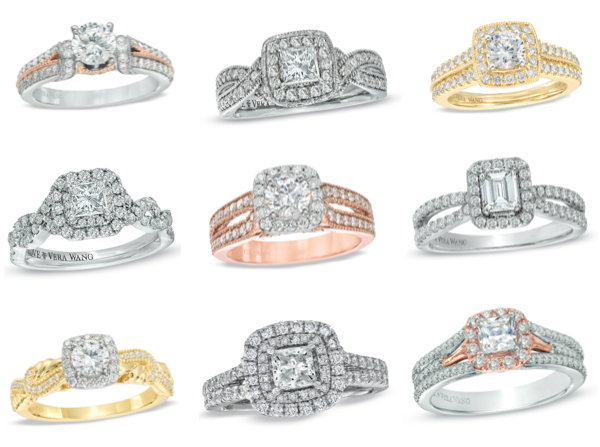 The private-equity firms bought the bridal chain in early 2007 from Federated for $750 million. If the firms put down cash equal to 33 percent of the purchase price, they stand to about double their money in the sale, a little over a 15 percent annual return. That’s a bit under par for a premier private-equity firm, but still not bad in a recession. David’s Bridal has hired Bank of America to handle the auction. Leonard Green did not return calls, and TPG declined comment.